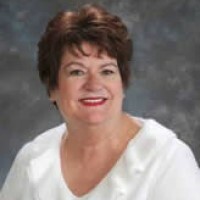 Mary Lynn Bisland is the Executive Director of Terrebonne Arc which provides services to individuals with intellectual and developmental disabilities and has worked with I/DD individuals since 1970. Mary Lynn joined Rotary in 2007 at the invitation of Jude Lapeyrouse and Reuben Williams. Mary Lynn is a native of Terrebonne Parish and has been married to Brunnie Bisland for 47 years. They have 3 children and 3 grandchildren. Her hobbies include reading, making jewelry, and painting. Mary Lynn has enjoyed her affiliation with club members and the wonderful things supported by the members. Lawrence DeHart is the Presedent and Acting Executive Director of the Terrebonne Churches United Good Samaritan Foodbank. He was born and raised in Terrebonne Parish and attended South Terrebonne High and Nicholls State University. 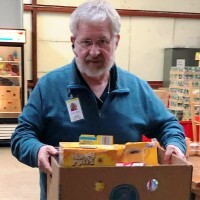 This is Lawrence's sixth year of involvement witht he Foodbank and third year as President of the Board. Lawrence majored in Aeronautical Science and was Co-Captain of the Flying Colonels Flight team that brought NSU its first and only NCAA National Championship. He has 25 years as an NASD Licensed Financial Advisor and Managing Principle. Lawrence has also been a Licensed Drone Pilot and Director of UAV operations for a regional oil spill response organization. Have a personal announcement? Email it to morgan@allisonattorneys.com! You don't pay taxes. They take taxes. Apr 19 Patrick Yancey's Birthday! Apr 19 Josh Alford's Birthday! Apr 25 Dixon Lewis' Birthday! May 2 Katie Portier's First Year Anniversary! May 5 Frank Kolwe's Birthday! May 14 Dale Thompson Sr.'s Birthday! May 16 Joshua Alford's First Anniversary! May 16 Sondra Corbitt's First Anniversary! May 16 John Tipton Jr.'s First Anniversary!